Nearly 50% of cancers in the world are accounted for in Asia. The incidence of cancer in India is 10%. Every year, a large percentage of the Indian population is inflicted by cancer. The incidence of cancer in India is estimated to grow by 25% by 2020 [according to the cancer registry released by the Indian Council of Medical Research (ICMR)]. It has become one of the major causes of deaths occurring in the country. In India, there are over 13 crores cancer patients – this is double the number to that of the people with diabetes or long-standing (chronic) respiratory illness, and 4-times more than the incidence of heart disease in this country. On an average,1,300 Indians die of cancer each day. Tobacco use is linked to around 20% of global cancer deaths, 70% of global lung cancer, and 40% of all cancers in India. The increasing prevalence of smoking has resulted in lung cancer reaching epidemic proportions in India, where an estimated 2,500 deaths every day can be linked to Tobacco Related Cancer (TRC); 1 in 5 deaths among men and 1 in 20 in women. The 3 most common cancers that are causing deaths in males are lung, mouth and stomach cancer. In addition to cigarette smoking - gutka, pan, areca nut chewing habit are increasingly contributing to mouth and stomach cancers caused by the swallowing of the 'mouth content' (including tobacco) after prolonged chewing. Mouth cancer is becoming the most concerning amongst the malignancies. It is the No. 1 cancer in men and accounts for 11.3% of all cancers in males. In females, mouth cancer stands at No. 5 and is responsible for 4.3% of all cancers in females. Each year 77,000 new cases of mouth cancers are detected, and each year 52,000 die on account of the same. The main age of occurrence of mouth cancer is around 50 years. For the 35% of the Indian population who are tobacco users and who are either addicted or less inclined to quitting it, there is a protective shield now available for them – a blend of three natural ingredients that can potentially wean away the tobacco users especially gutka by a substitute which provides similar flavour and taste albeit with a healthy option. SVARNSAATHI- A first-of-its-kind available in the country (and globe) to have a measure to provide beneficial support to tobacco users who are at risk of cancer. 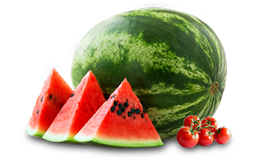 Both curcuminoids and lycopene have anti-cancer actions and are antioxidants. Their regular intake can provide protection against the harmful effects of tobacco – especially, TRC. Also, these ingredients can benefit cancer patients when consumed on a long-term basis. 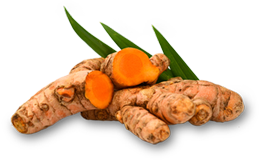 Turmeric is long known for its various benefits and is a popular household remedy for a number of ailments. However, for the turmeric to benefit, with respect to cancer, at least 2.5 to 5 tablespoons (tbsp) (each tbsp = 15 gms) are necessary to be consumed daily and this is not practical. Another disadvantage of curcuminoids (and turmeric) consumption is that the active component ‘curcumin’ does not enter the blood in adequate amounts on account of its destruction in the intestine and liver before it can reach the blood to exert its benefits. SVARNSAATHI overcomes both the shortcomings by providing curcuminoids and the most Bio-efficient Curcumin (patented) that preserves the Complete Natural Turmeric Matrix (CNTM) with high curcumin content; a 10 fold increase in bioavailability compared to standard curcumin and provides assured functional benefits. Also, the Bio-efficient Curcumin with CNTM (Complete Natural Turmeric Matrix) is devoid of nanoparticles, liposomes, micelles, phospholipids complexes and structural Analogues and is 100% solvent free. 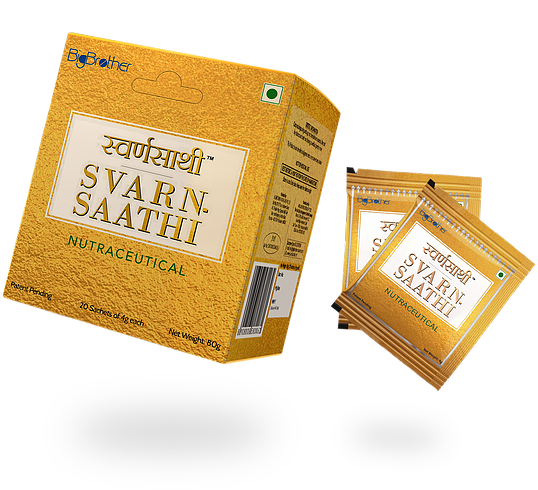 SvarnSaathi can be easily consumed by taking only 1-2 sachets daily to provide adequate amounts. 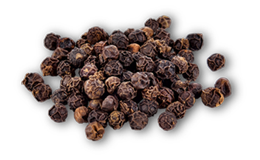 Piperine is black pepper (Piper nigrum) and is a herb that is used as a common spice. Piperine is known for changing the metabolism of various drugs and supplements. Unless piperine is given concomitantly, the medicinal properties of curcumin obtained from Curcuma longa cannot be utilised because of poor uptake due to its rapid breakdown in the liver and intestinal wall. Piperine most notably increases curcumin availability in blood by 150% -200%. Lycopene is the bright red carotenoid pigment that is found in tomatoes and other red fruits and vegetables, notably red carrots, watermelons and papayas. Hence, consuming the blend of three natural ingredients that are extracts of turmeric, tomatoes and black pepper can accrue to cancer patients on their long-term intake – especially TRC since these ingredients provide protection against the harmful effects of tobacco. For those with cancer, 7-8 sachets of SvarnSaathi could be taken daily over many times in a day; for those prone to cancer or who intend to prevent cancer, 1-2 sachets per day can provide beneficial support. Being a blend of natural active ingredients SvarnSaathi is apparently safe for regular consumption and can be taken by any adult, unless there is a known presence of allergy to any of the product’s ingredients. SvarnSaathi is a companion - a Saccha Saathi for gutka, pan and areca nut users and smokers. Besides this, Curcuma longa standardised extracts (Curcuminoids 95% & Bio-efficient Curcumin with CNTM) supports cardiovascular health, digestive & GI health, musculoskeletal (joint, muscles, bones). With its antioxidant activities, it can protect from the effects of toxic chemicals, pollutants, heavy metals, microbes, pesticidal residues, which Indian population is exposed to on a day-to-day basis. Hence, SvarnSaathi is a healthy lifestyle measure for the healthy individuals too who are not tobacco users. Ingredients in SvarnSaathi are safe when consumed as per recommendations. Allergic reactions may occur. If large amounts of the product are consumed, complaints such as stomachache, gas, nausea or indigestion may also occur. People who are taking SvarnSaathi as well as other products with piperine content (>15-20 mg/day), or those on anti-cancer drugs, or pregnant or lactating females are strictly advised to consult and follow the supervision of a healthcare provider. Anyone who is allergic to any of its ingredients is strictly advised not to consume SvarnSaathi. It is a mouth pour formula in a sachet form. Cut open the sachet and pour the contents in the mouth and munch to enjoy as an after mint. One sachet of SvarnSaathi once daily helps to shield against cancer; those who have cancer need to consume 7-8 sachets daily as an adjuvant. Available in packs of 20 sachets on online platforms (Amazon, Flipkart etc. ), chemist shops, supermarkets, retailers etc. Can be kept in normal room conditions of humidity and temperature (preferably below 25°C). Should strictly be kept out of reach of children. Bigbrother Nutra Care Pvt. Ltd.